Around 7 years ago, a group of women in their early 20s gathered together to share tales of past, present and hopes for the future. Statistically one in five women has experienced some kind of sexual assault. So, there’s a probability that one of these women might have experienced this. Right? Unfortunately, 5 of the 7 women in that room had. Almost all of the 5 were assaulted by someone they knew. I was one of the women in this room. All of us had known each other for decades and this was the first time that we had ever talked about these experiences with each other. I wish I could say that this was a statistical anomaly. The number of women who have confided their experiences of being sexually assaulted with me is painfully high. Majority of these women have not reported their assailant to the authorities. Why would they? Time and time again, we have seen women being shred to pieces for coming forward and reporting their experiences of sexual assault. The law, society and in some cases even their own friends and families have consistently let them down. The latter comment isn’t too far off the mark. I’ve witnessed friends being ignored, ostracised or told to “move on” by their own families when they finally find the courage to share these experiences. Preserving the perception of a woman’s ‘untainted’ virtue and reputation seems far more important than ensuring these sexual predators are stopped from harming anyone further. For those that had reported it, the aftermath included a treacherous journey of dealing with victim shaming, receiving threats from friends and family of the accused, incurring large legal costs and waiting years for a court date while their assailants roamed about freely. Even when convicted, the punishment for these men rarely seems to fit the crime. Brock Turner , who violently sexually assaulted an unconscious woman and was convicted of this, got a 6 month jail sentence. This was the legal equivalent of a slap on the wrist. A 6 month sentence is what the judge deemed as appropriate “justice” for what will be a lifetime of suffering and emotional trauma for the victim. The cards are stacked against women on this. There are far more reasons to stay quiet and internalise the pain than come forward and report your assault. This is evident in Dr. Christine Blasey Ford’s case as well. When she publicly shared her experience of being sexually assaulted by Supreme Court Judge nominee Brett Kavanaugh, she received death threats. 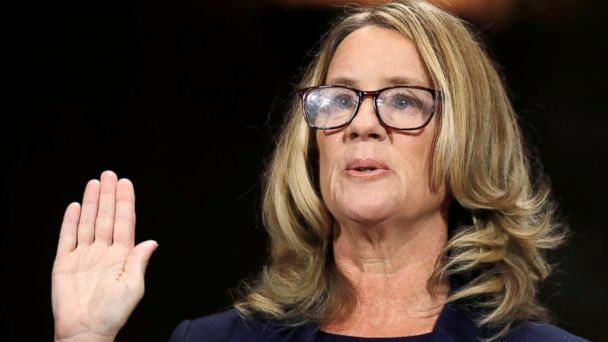 She has been brutally scrutinised in the media, her family has been under immense distress and she has also had to relive the traumatic assault while being questioned about it by the US Senate Judiciary Panel. Dr. Christine Blasey Ford has nothing to gain from coming forward. As she has stated in her testimony, the only reason she has chosen to come forward now is because she felt it was a “civic duty”. Despite the alarming amount of evidence to corroborate Dr. Ford’s experience, the senate panel voted (11-10) to approve Brett Kavanaugh’s nomination to the top US Court. This sends a consistent message that a man’s reputation is far more important than the women’s lives he has caused irreversible damage to. This indicates that the US Government sees women as collateral damage. This vote proves why you need to believe women who share their experiences of sexual assault. When you don’t, you’re allowing the Brock Turners to grow up to be the Brett Kavanaughs who make the rules for the Brock Turners of the world.